What does it take to write a great short story? In Object lessons, the new anthology from The Paris Review, twenty contemporary masters of the genre answer that question by sharing their favorite stories from the pages of The Paris Review with personalized introductions. 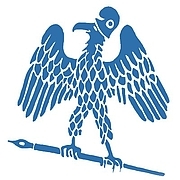 A laboratory for new fiction since its founding in 1953, The Paris Review has launched hundreds of careers while publishing some of the most inventive and best-loved stories of the last half century. This anthology is the first of its kind: for writers, an MFA in their pocket and, for readers, a treasure trove of exquisite writing. Contributors Donald Antrim (author of The Verificationist and Elect Mr. Robinson for a Better World) and David Means (author of Assorted Fire Events and The Spot) will share their own selections for the anthology this evening, and talk with Paris Review editor Lorin Stein about the craft of story. The Paris Review is currently considered a "single author." If one or more works are by a distinct, homonymous authors, go ahead and split the author. The Paris Review is composed of 10 names. You can examine and separate out names.